The Summer of tractor woes continued with the 3 point hitch arrangement causing problems. 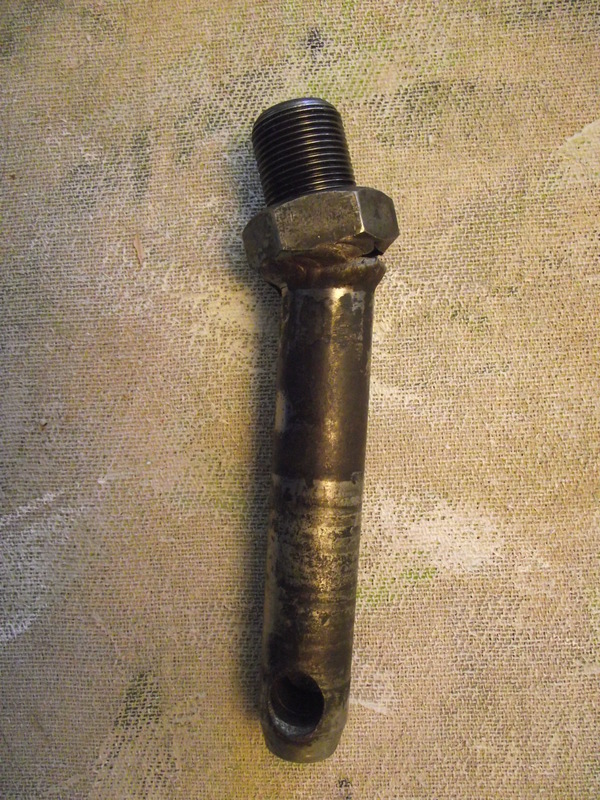 This pin, a Position Implement Pin, broke at the very poor weld joint. Now this pin is vital to the use of the tractors hitch. The hitch is the mechanism that controls the tool – the topper for example – and allows the PTO to power the tool whilst the tractor moves it. Without it I was stuffed – and I needed to cut before the Autumn made it too wet!! I couldn’t find a replacement part for this tractor – a Yanmar – anywhere and I spent a good 10 hours on t’web looking for it. Fortunately Kevin was here and rode to the rescue…………. Kevin is the owner of several Harleys and a Bonneville and is used to engineering failures. He suggested we found an engineering firm and got a new one made!! 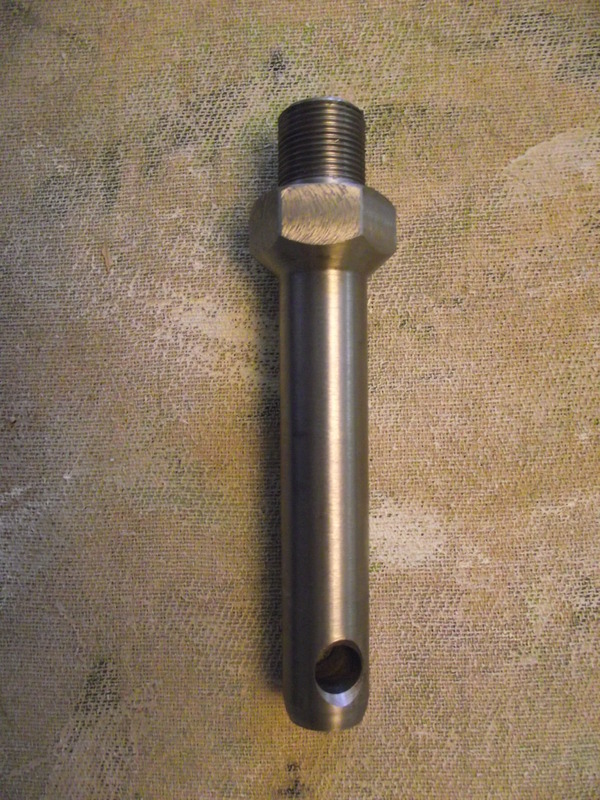 Instead of a thin bolt with a welded nut, the firm made a one piece, turned out of a lump of hardened steel. It weighs a ton!!! Anyway, we fitted it. It was perfectly cut – absolutely no wiggle or trouble. And I am now cutting again. I have the advantage of now knowing this firm can replicate any part at short notice! !